This section showcases Hadi's most recent art show in Golestan Gallery in Tehran, Iran titled 'Outer Façade, Inner Essence'. The art show's theme deals with introspection and looking inwards to discover hidden aspects of human identity, ego and how one define's oneself. 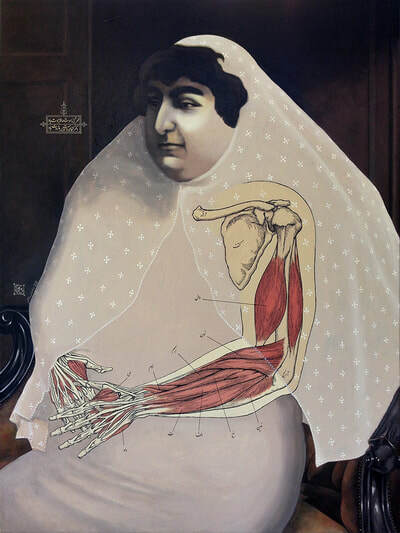 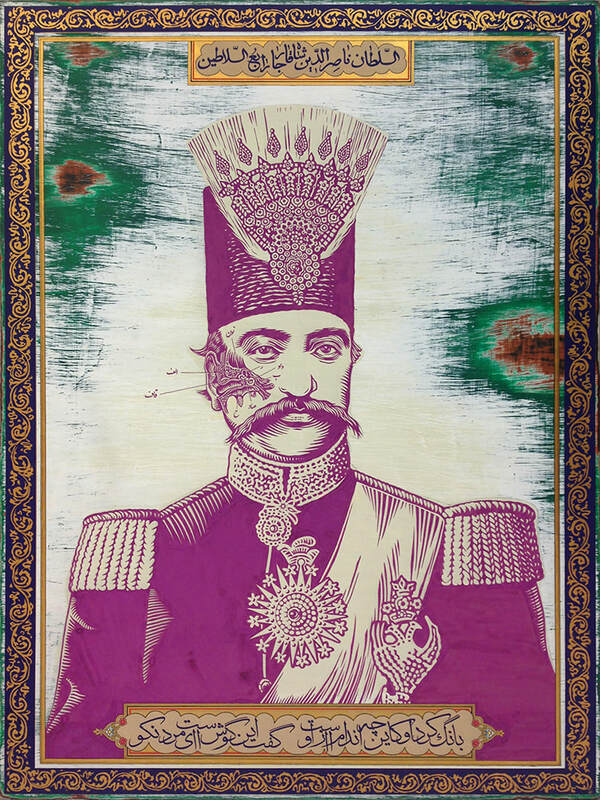 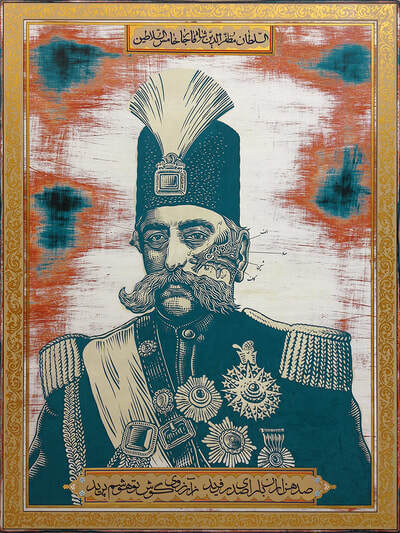 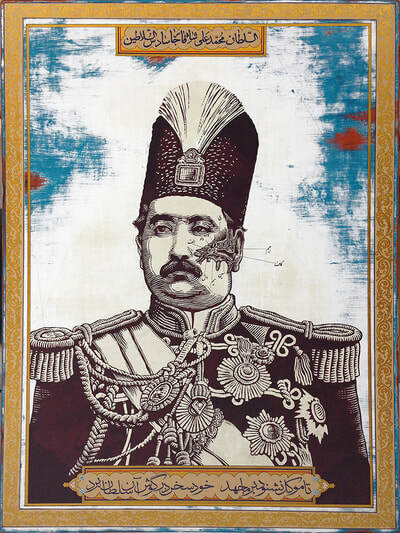 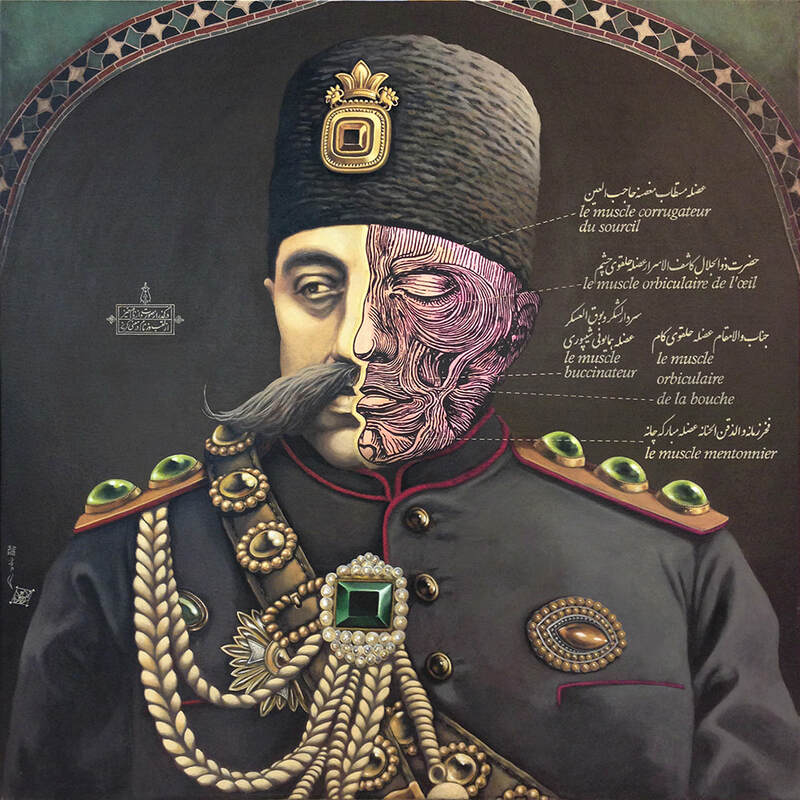 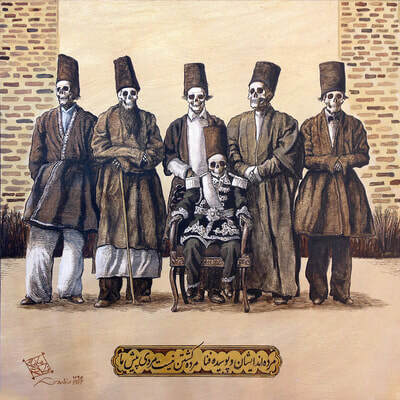 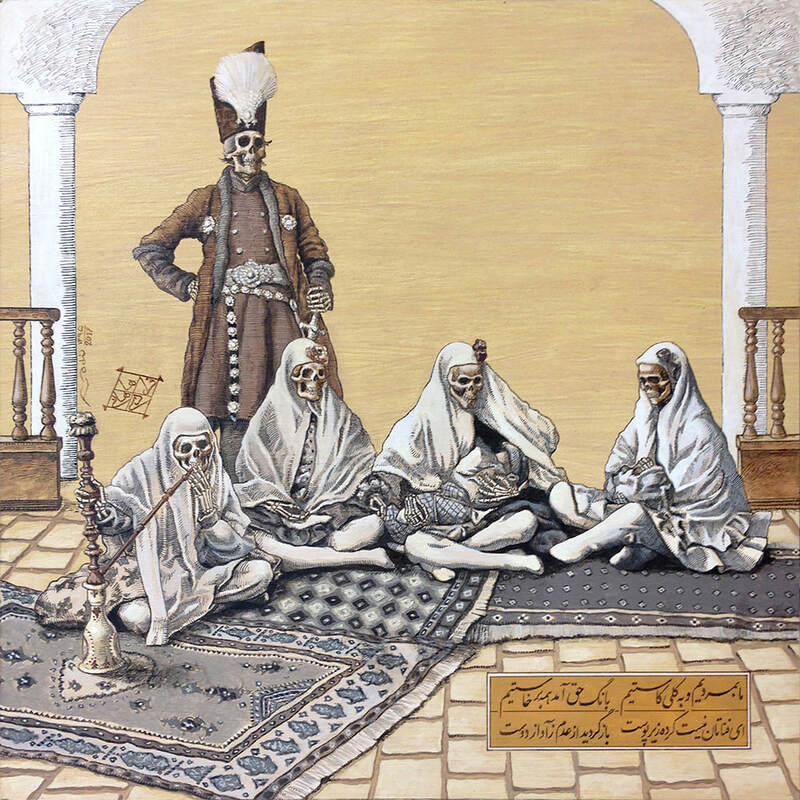 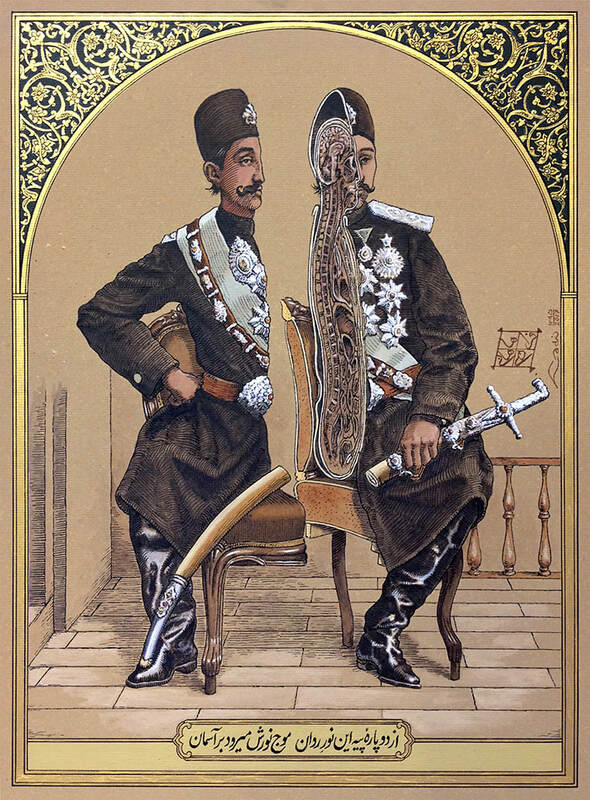 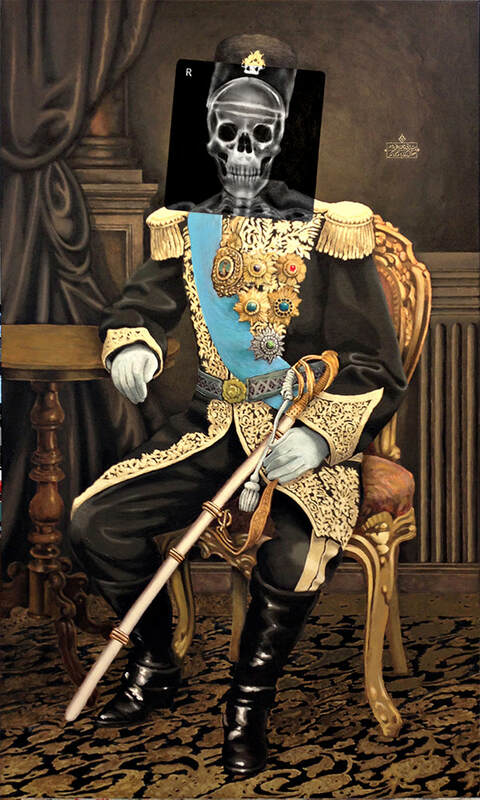 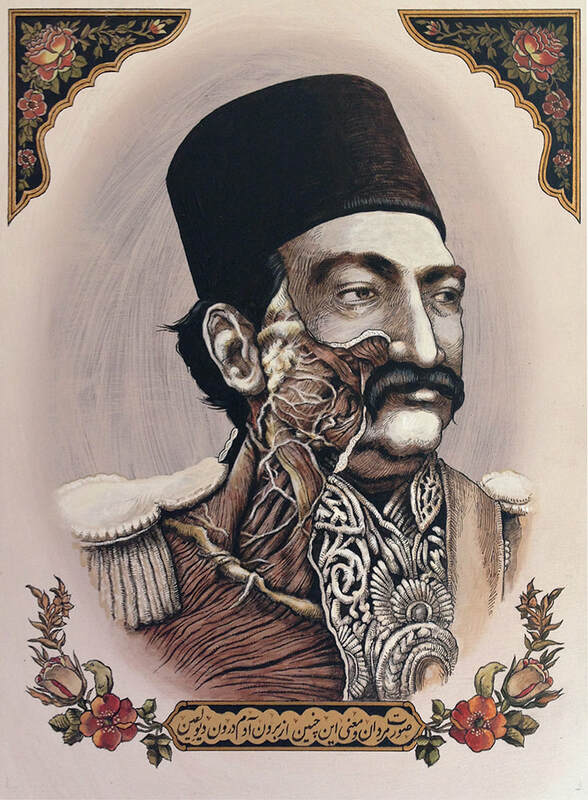 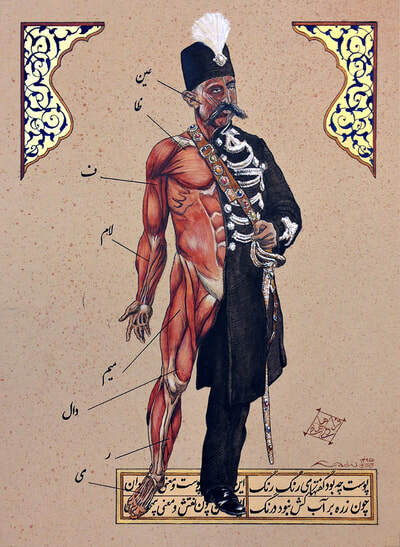 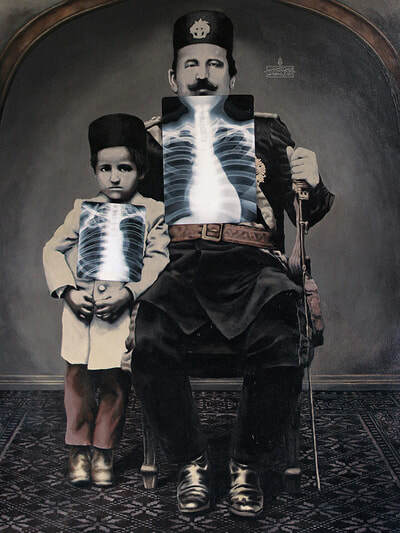 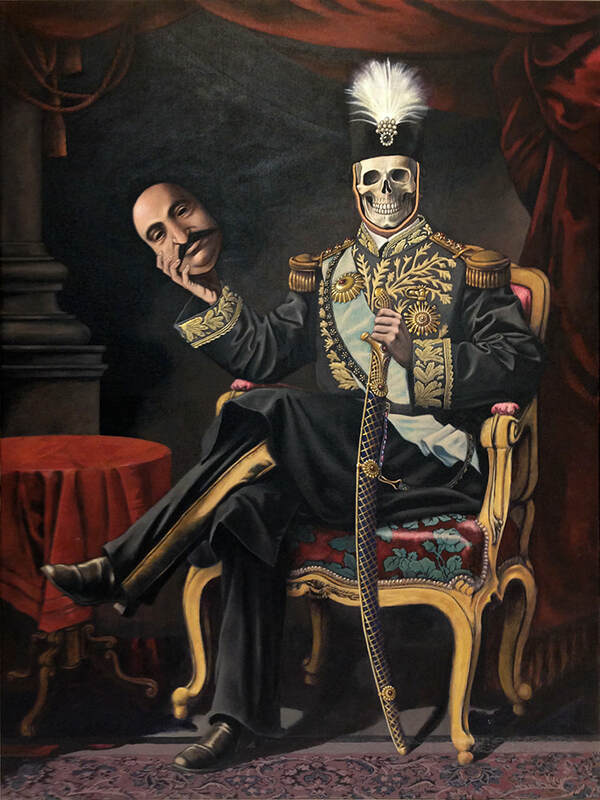 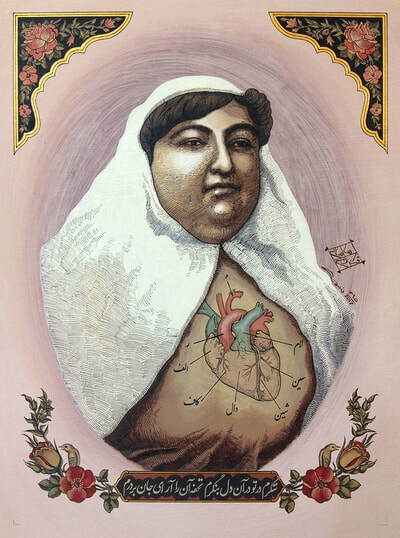 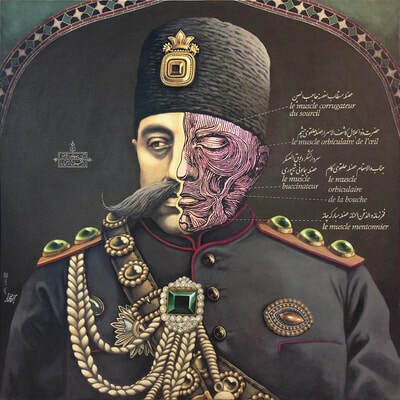 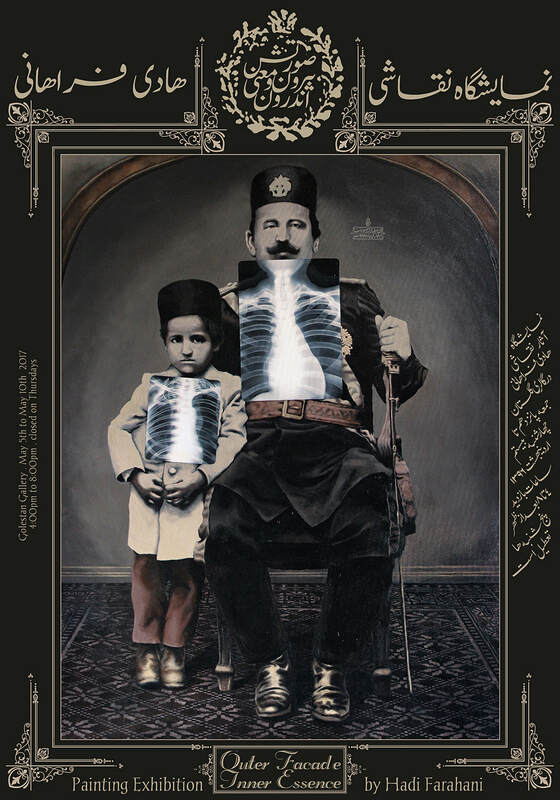 To Achieve this, the artist has employed conceptual and visual methods that help expand on the show's theme; Persian kings and nobility of the Qajar dynasty have been used as the visual representation of human ego and identity, while X-ray, dissection and anatomical exploration of the subjects' figures are meant to 'literally' look inside them. 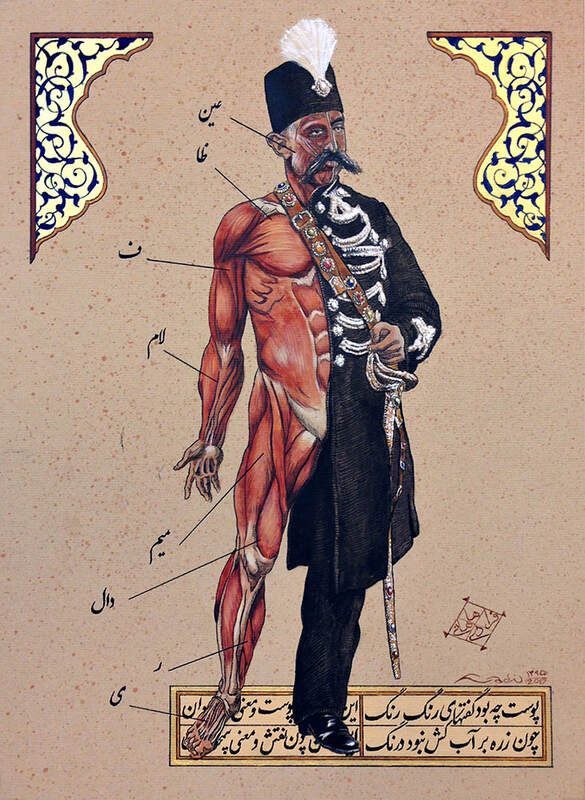 The ornate details of the figures and their surroundings are balanced by the blunt and somewhat harsh representations of human anatomy. 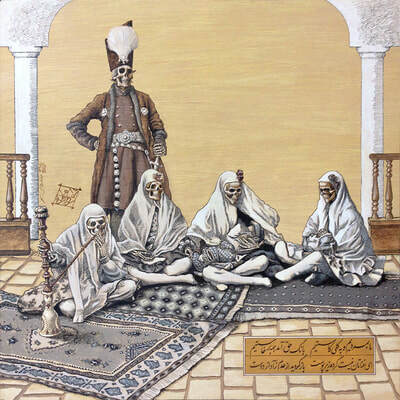 A verse from 'Mathnawi', the book of poems by Rumi (Persian poet and Sufi mystic) is inscribed in every artwork that elegantly complements each painting's subject matter.